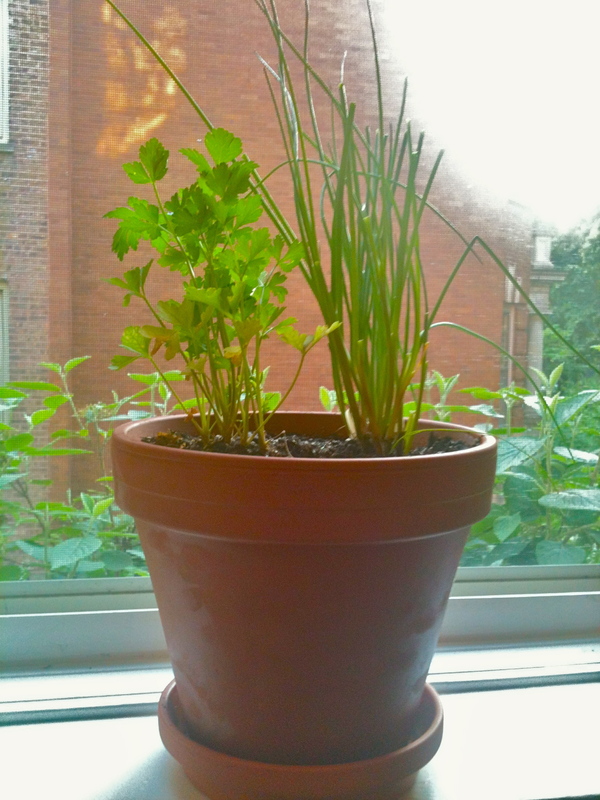 Windowsill Herb Garden and Garlic Thyme Olive Oil. Fresh herbs look, smell, and taste amazing, so of course they’re always welcome in my kitchen. But they’re really something of a luxury, aren’t they? Not anymore! This week I made a trip out to Gethsemane Garden Center to realize the city girl’s dream of growing my own herbs at home. There were a ton of gorgeous fruit, vegetable, and herb plants to choose from, so I decided to start off with a few of my favorites. 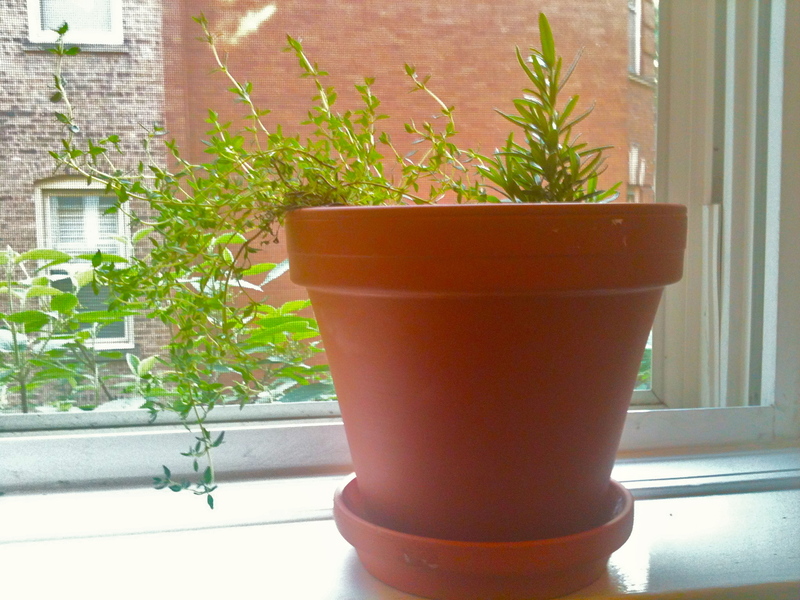 And since I don’t have garden or porch space in my new apartment, my herbs grow in pots on my living room windowsill (for now…who knows how long I can keep these alive…). 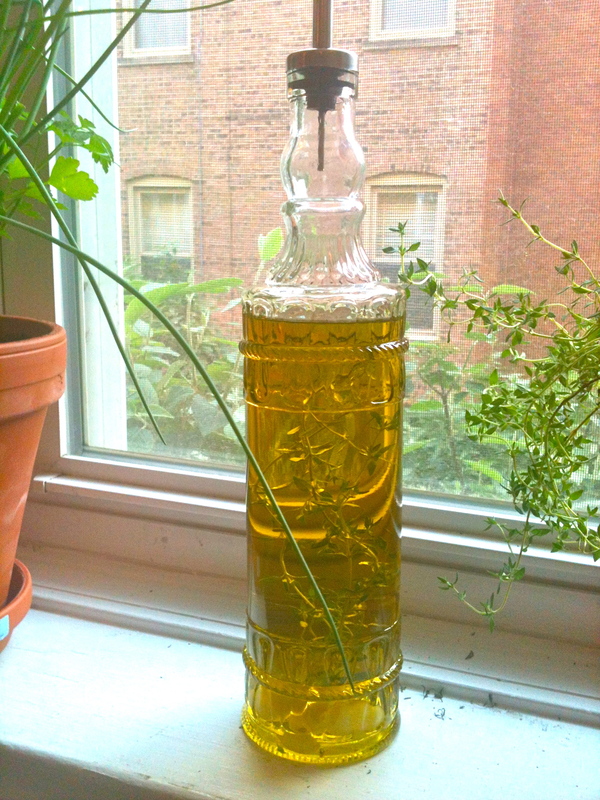 Also, a quick and easy but totally luxurious and aromatic olive oil “recipe” using herbs from my garden! 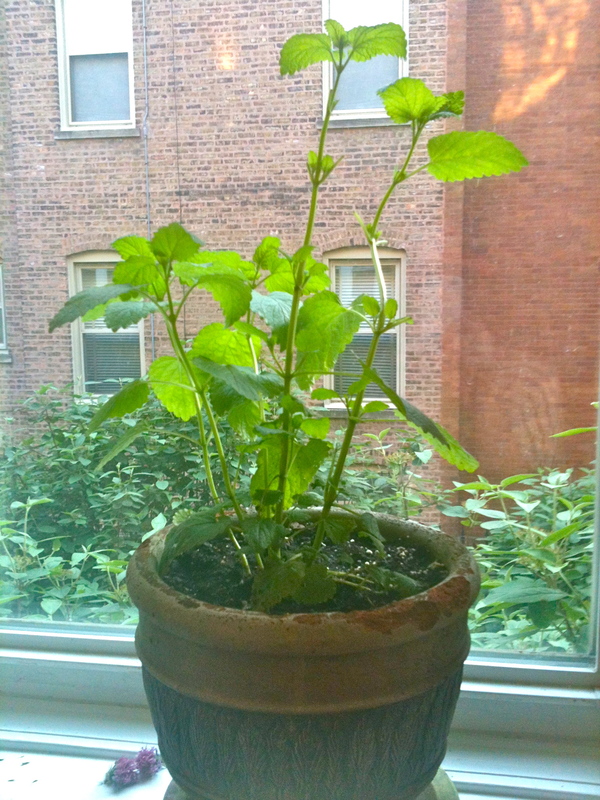 UPDATE: I just discovered that this is actually a lemon balm plant, which is similar to mint but has a more lemony scent. Still great for tea though! 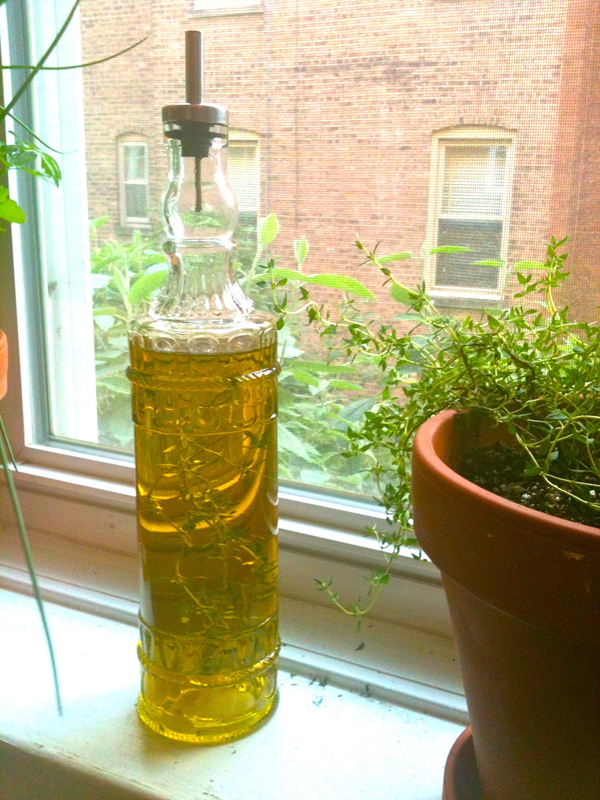 Now, let’s perk up that regular old olive oil and make it something special: Garlic Thyme Olive Oil. Peel cloves of garlic. Rinse thyme and pat it dry. Let both garlic and thyme dry thoroughly, at least an hour (any water leftover can lead to spoilage). Add washed and dried aromatics to a clean bottle and fill with olive oil. Let steep for 4 days, then remove thyme and garlic (again, to prevent spoilage). Use within 2 months. Great for sauteing veggies, making salad dressings, and dipping fresh-baked bread. Previous Russian Sour Cream Coffee Cake. Next Butter and Herb New Potatoes.